Every Door Direct Mail Retail is incredibly easy to prepare and mail. The following steps will show you how to take your E.D.D.M. from concept to delivery. Before you continue reading, please make sure you have familiarized yourself with E.D.D.M. by reading 5 Reasons Every Door Direct Mail Will Work for You and then come back to see how it’s done in 3 easy steps. Once you have made all of your selections and have a final count of the area and routes that will be covered, you can continue by clicking “Next” to generate all of the paperwork required when delivering your EDDM prints to the Post Office. Don’t forget your postage check! But don’t fret, they also take cash and credit cards. This is the most labor-intensive step of completing your E.D.D.M. mailing, but it’s simple! 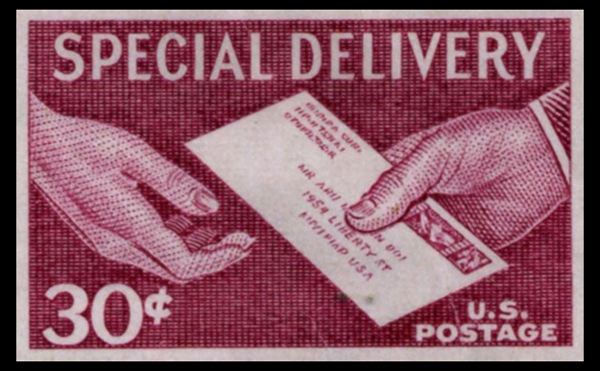 The USPS requires that you bundle your Every Door Direct Mail pieces into stacks of 50-100. The reason for this is that the Mailman takes these bundles and places them in his bag or cart and delivers one to each mailbox on his route. Please be considerate! Don’t make the bundles too heavy. One of the forms that the system generates for you is the Facing Slip. This form needs to be on the very top of every bundle, so make copies before you fill in all of the information. I recommend that you fill the Date, Company Name and Post Office of mailing before making copies so that you don’t have to fill it in every time. Once steps 1 and 2 are completed, the final and easiest step is your delivery to the Post Office. 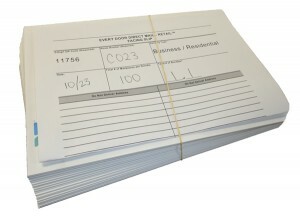 One of the forms generated by the E.D.D.M. system, the “Facility List”, is a summary of the entire mailing. For your convenience, the form will list the address of each Post Office you must deliver the bundled mailers to, the hours of operation and contact information. The number of Post Offices listed will usually only vary if you selected more than one Zip Code. That’s it! 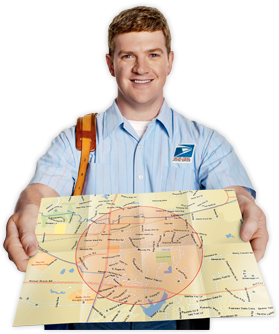 Your Post Office representative will review your paperwork and mail pieces, process the paperwork in the register and accept payment for your Every Door Direct Mail. 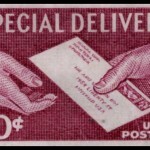 Your mail pieces will be delivered within the Standard Mail delivery time. If you have any questions or would like a quote, please visit our E.D.D.M Page. Is there anything you have noticed that can make Every Door Direct Mail even easier or more efficient?